Different crops and production types sometimes require specific growing mix characteristics that contribute to optimum growth and healthy rooting. 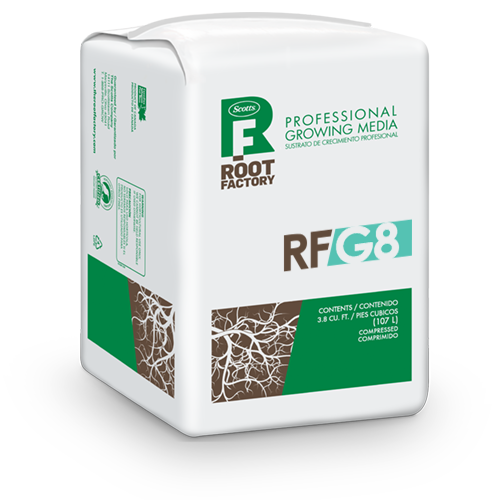 RFG8 was specifically designed to provide superior water retention while allowing enough air and gas diffusion. For productions such as flower baskets, this mix will allow you to grow faster. RFG8 has a perfect balance between fibrous peat and coconut husk fiber in addition to a fertilizer charge as well as minor elements.